In other news, a few things have finally come together. 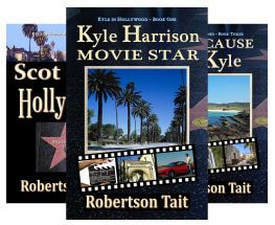 My "Kyle in Hollywood" trilogy is now available on Amazon as a series in both Kindle and paperback. One of the benefits of the series format is that Amazon will tell you if you already own one of the books, so you don't accidentally buy it again. To celebrate the series launch, Book 1 will soon be available absolutely free for a limited time only. Check the product page and grab your copy! If you want to save a bundle of money, check out the box set (Kindle only). The box set is currently on sale for the unbelievable price of $3.99 (down from $9.99). This offer expires after October 22. 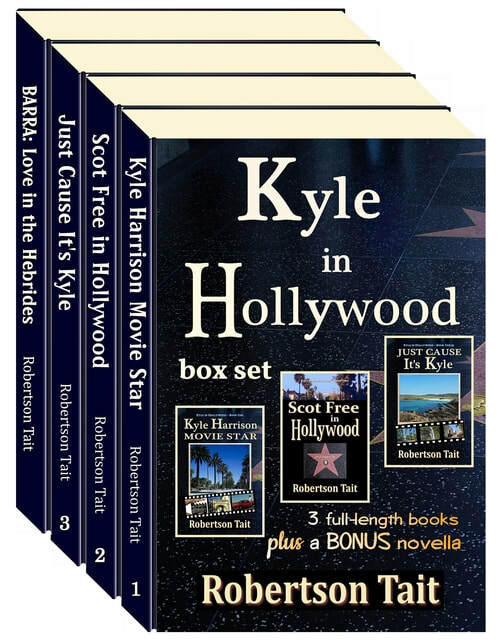 The “Kyle in Hollywood” trilogy is available on Amazon in Kindle and paperback, and very soon as a bundle. All my books are now available in wide distribution. That includes: Apple's iStore, Barnes & Noble, Kobo, Scribd, Playster, Bibliotheca, OverDrive, Tolino, Mondadori, and 24Symbols.